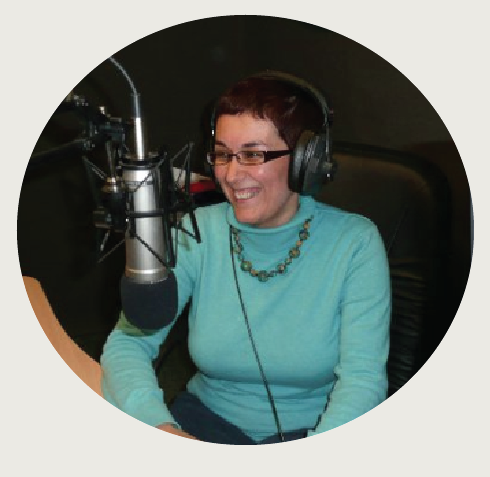 Did you know that some of the contributors in the award winning The Book of Soulful Musings are already published authors passionate about holistic wellbeing? Their books are very much in support of mindful, conscious and joyous living. This is why we agreed to bring to you fabulous packages to choose from as a present to your precious self and/or to a dear family member or a friend. 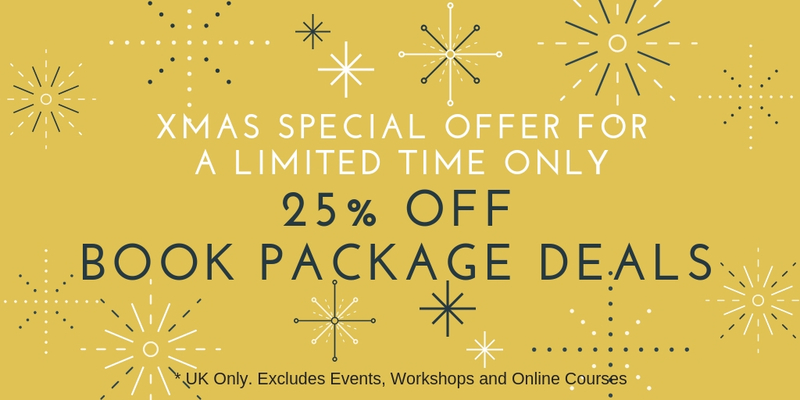 The Special Xmas BoSM Offer and BoSM Package Offers are available until Friday 14th December 2018 (incl) from £20.00 (two books included) (+P&P). Email info@chrisoulasirigou.com to send you a direct PayPal link to make your payment. Thank you! 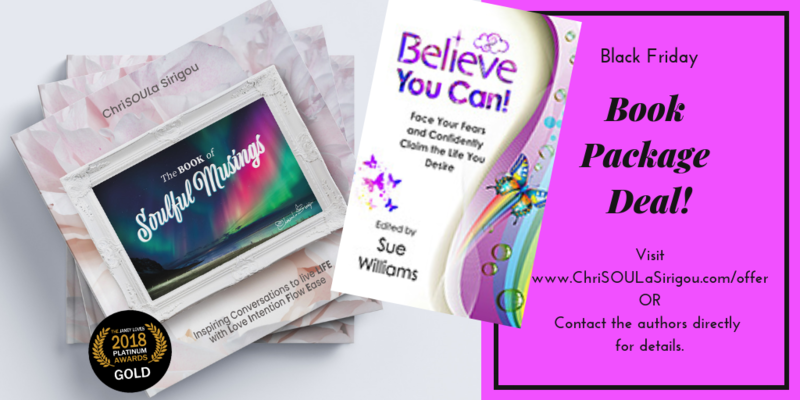 Book Package Deal A): The Book of Soulful Musings (Golden Muse Publishing 2018) and Believe You Can by Sue Williams at £20.00 (+ Packaging and Postage in the UK only). If you are a reader based outside the UK, the books can be sent in the post, however, postage fees will vary. 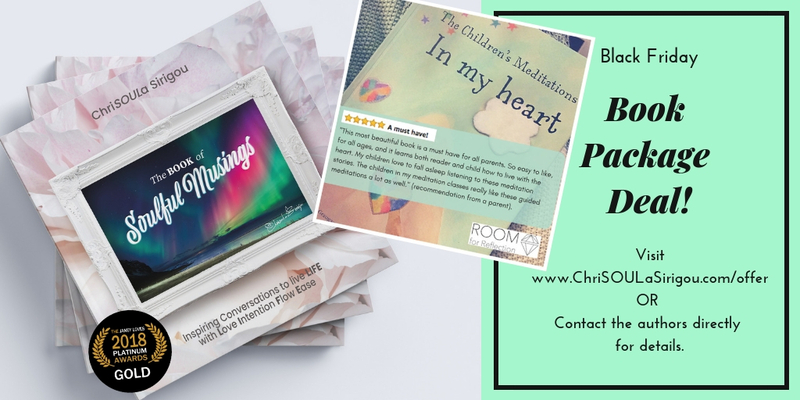 Book Package Deal B): The Book of Soulful Musings (Golden Muse Publishing 2018) and Children’s Meditations In My Heart by Gitte Winter at £22.00 (+ Packaging and Postage in the UK only). If you are a reader based outside the UK, the books can be sent in the post, however, postage fees will vary. 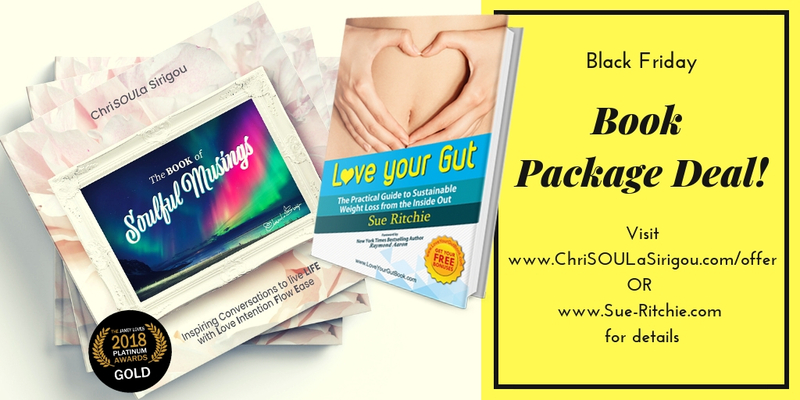 Book Package Deal C): The Book of Soulful Musings (Golden Muse Publishing 2018) and Love Your Gut by Sue Ritchie at £22.00 (+ Packaging and Postage in the UK only). If you are a reader based outside the UK, the books can be sent in the post, however, postage fees will vary. * Alternatively, contact us by email to info@chrisoulasirigou.com if you have any questions, if you wish to order more than one book package deals or copies of The Book of Soulful Musings.